Was looking forward to a nice sunset with good coloured skies. However, it wasn’t that intense yesterday. Anyway, some nice clouds were there and it was definitely worth to go there for some shots. All pictures taken with the Nikon D800 and the Zeiss 21mm f/2.8. Another run with the D2x set to b/w picture mode. Again using the Nikkor 24 f/2.8. This time watching the tugboats in the Bremerhaven lock getting a big automobile carrier into the harbour. Above an overview created with a panorama shot. 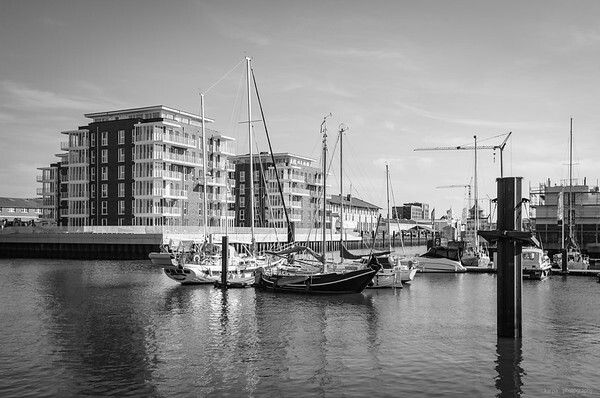 One shot taken at the new Marina in Cuxhaven where several apartments were built. Nearly finished but not in use yet. Shot was taken with the Nikon D2x and the Nikkor 24mm f/2.8. 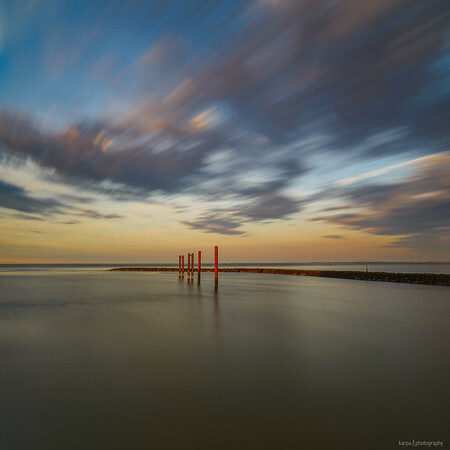 One shot in the evening, taken at the building harbour of Cuxhaven. This location is close to the Kugelbake monument. Using the 21mm Zeiss on the D800 and Polarizer with ND 3.0 filter resulting in 137 second exposure at f/11. Short trip to Balje. The main front of the lighthouse points – of course – towards the river Elbe and therefore no real nice location to take pictures – unless you get there by boat.